It's almost impossible to avoid BPA, a chemical that's found just about everywhere. But, a new study cautions that young girls who are exposed to high levels may become obese. ""Our study suggests that BPA could be a potential new environmental obesogen, a chemical compound that can disrupt the normal development and balance of lipid metabolism, which can lead to obesity," wrote the authors of the new study, published June 12 in PLoS One. "Worldwide exposure to BPA in the human population may be contributing to the worldwide obesity epidemic." Worldwide obesity has almost doubled since 1980, according to the World Health Organization. More than 1.4 billion adults and 40 million children are estimated to be overweight. About two-thirds of adults in the U.S. are overweight or obese, in addition to about one-third of children and adolescents, the Centers for Disease Control and Prevention reports. 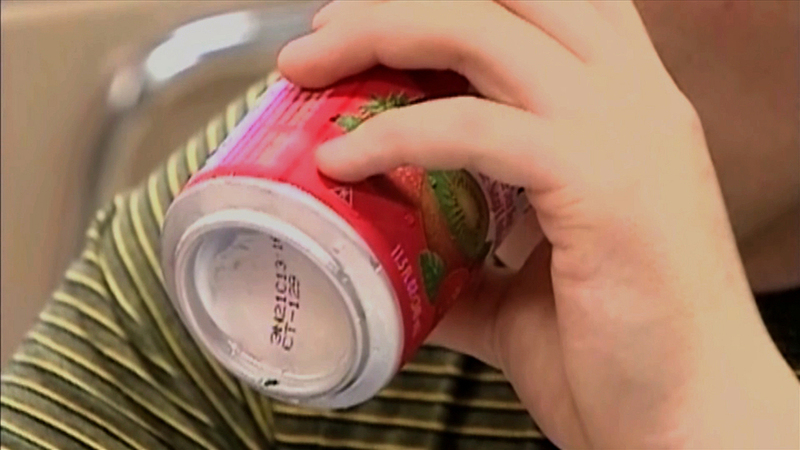 BPA refers to bisphenol-A, an industrial chemical widely used in plastics and in the lining of aluminum cans to protect them from corrosion. It's also found in other materials like cash register receipts. BPA can disrupt the endocrine (hormones) system, and has been linked to health effects. Recent studies have linked BPA exposure to risk for asthma, kidney and heart disease, brain changes and thyroid problems. Animal studies have also found developmental risks. The Food and Drug Administration says BPA "is safe at the very low levels that occur in some foods." The agency said it is conducting additional studies to determine whether or not the chemical is safe as currently used in packaging and containers, but in June 2013 reassured consumers that the currently approved uses of BPA in food containers and packaging was safe. At the request of the American Chemistry Council in order to remove confusion from the marketplace, the FDA formally banned BPA from baby bottles and sippy cups in July 2012. Many companies had already been phasing the chemical out of those children's products by this time. The FDA rejected a petition for an outright ban of BPA in March 2012, citing a lack of compelling scientific evidence. The new study involved more than 1,300 children in grades 4 through 12, who attended school in Shanghai. The team led by researcher Dr. De-Kun Li, a reproductive and perinatal epidemiologist at the Kaiser Permanente Division of Research in Oakland, Calif., took urine samples from students to determine BPA exposure levels. They also assessed the students for other risk factors for childhood obesity, including physical activity levels, their dietary habits and family history. Children were divided into groups based on their BPA exposure levels. The researchers found girls between ages 9 and 12 with higher-than-average BPA levels were two times more likely to be overweight or obese. Girls of those ages with "extremely high" BPA levels were five times more likely to be in the top weight percentile for children. For all the 9- to 12-year-old girls studied, 36 percent of those with a higher-than-average level of BPA in their urine were overweight or obese compared with 21 percent of those with a lower-than-average level of BPA. The researchers, however, found no risk increases in girls older than 12, or boys of all ages. "Girls in the midst of puberty may be more sensitive to the impacts of BPA on their energy balance and fat metabolism," Dr. Li said in a statement. Previous research has also linked BPA to obesity. A Sept. 2012 study found children with highest levels of BPA exposure -- as measured in urine -- had two-fold increased chance of being obese compared to kids with the lowest levels, regardless of how many calories they were taking in through their diets. That study's author, Dr. Leo Trasande, an associate professor in pediatrics, environmental medicine and health policy at NYU Langone Medical Center in New York City, told CBSNews.com Thursday that the new findings among Chinese school children corroborated what his team found.
" This study adds further concern about the recent FDA decision not to ban BPA from food uses," said Trasande. "While unhealthy diet and poor physical activity are clearly the leading causes of the obesity epidemic, environmental chemicals are increasingly known to be independent contributors," he added. The American Chemistry Council, an industry group, disputed the "flawed study," pointing out it failed to show a causal link between BPA and obesity. "Attempts to link our national obesity problem to minute exposures to chemicals found in common, everyday products are a distraction from the real efforts underway to address this important national health issue," the council said in a statement. "It is important to note that the FDA has said unequivocally that BPA is safe for its approved uses."